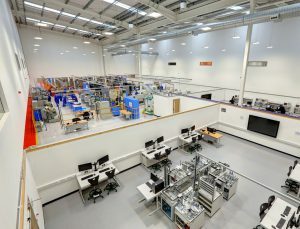 The Automated Technology Group has won an order from EEF, the organisation representing British manufacturing, for a multi-functional automation training cell at its new Technology Hub in Birmingham. 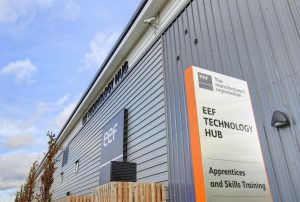 An additional site for the EEF’s state-of-the-art Technology Training Centre in Aston, the Technology Hub was opened earlier this year by HRH The Princess Royal. 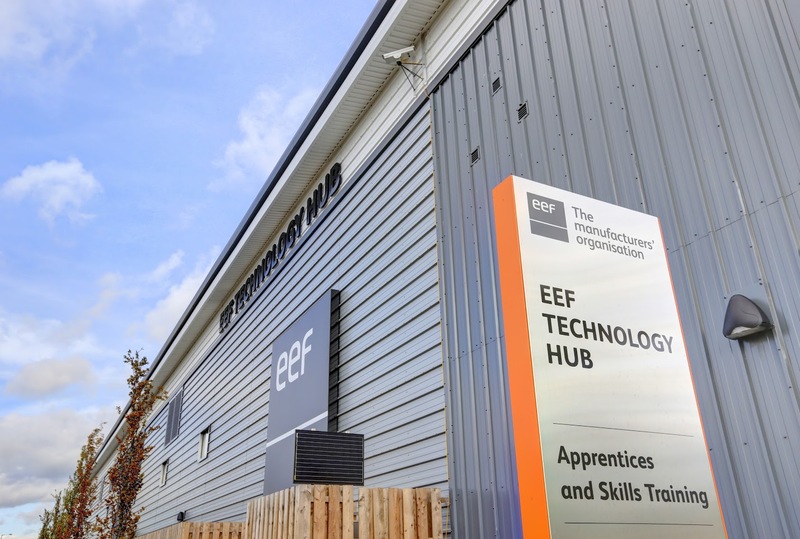 The EEF’s educational facilities have been designed to provide hands-on training for apprentices on the very latest equipment and machinery to be found in manufacturing and engineering environments. 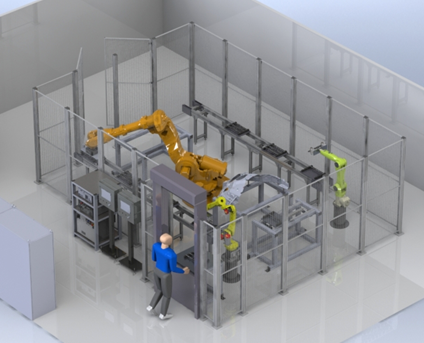 This further investment in robotics and automation complements the current robotics cells at the EEF facility, which contain industry-leading robotic arms and software systems, along with simulation software. As well as design of the cell, The Automated Technology Group will undertake the manufacture, installation and commissioning of the system. 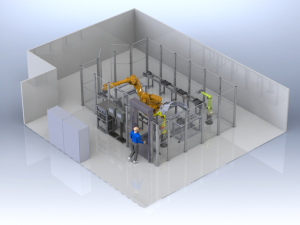 Apprentices using the facility will be able to master a number of skills including multiple robot programming, communications, use of safety controls and the automated inspection, handling and manipulation of a variety of components. This training unit will also be used for upskilling those currently working in the engineering and manufacturing sector who need to gain skills in the area of robotics and automation. The training cell will have Kuka, Fanuc and ABB robots and will feature wireless communications for part tracking and data capture, aligned with Industry 4.0. It will also have a dual control system to allow students to become familiar with both Siemens and Rockwell control and HMI architectures. A touchscreen ‘Tutor’ HMI will enable instructors to select fault conditions and disable components within the cell to create realistic system failures for subsequent identification and rectification by the apprentices.